• Open the Greek Symbol Palette by clicking on the button labeled a~ on the Math Palette, then click on the appropriate button on the palette. • Type the roman equivalent of the Greek letter and immediately press [Ctrl]G.
symbol into your text. Just place the insertion point in a text region and click on the button in the palette. You can also use the Greek Symbol Palette to insert Greek letters into math expressions. 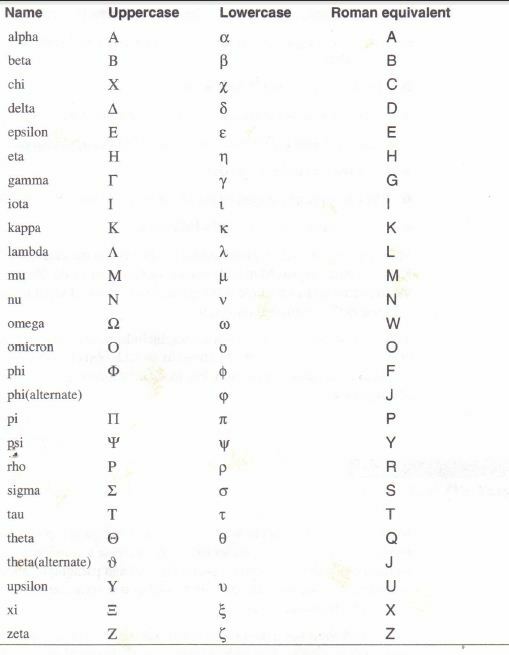 The table on the following page lists all the Greek letters and their roman equivalents. These are the same roman equivalents used in the Windows Symbol fine To insert an uppercase Greek letter, use the uppercase roman equivalent. 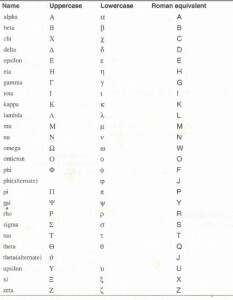 To insert a lowercase Greek letter, use the lowercase roman equivalent.Typing [Ctrl]G after a letter in a math region also converts it to its Greek equivalent. 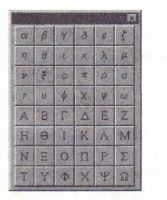 In addition, [Ctrl]G converts a non alphabetic character to its Greek symbol equivalent. 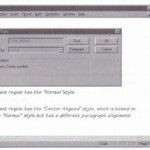 For example, typing [Shift]2[Ctrl]G in a text region produces the character. • Choose Text from the Format menu . • From the Font list select the Symbol font. 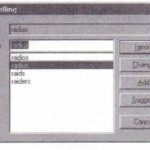 • Click in a text region to place the insertion point (a vertical bar). • Drag to highlight the text you want to export if you do not want to export the entire text region. • Choose Copy from the Edit menu. • Place the text in the clipboard. 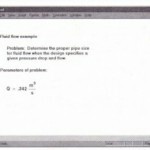 • Click in an empty region of the Mathcad worksheet. You should see the crosshatch.